Far-right, former IDF colonel, racist MK Moti Yogev wants family members of Palestinians accused of attacking Jews (true or false) placed in internment camps. Will death camp recommendations follow? He claims punishing families will deter their children from allegedly harming Jews. “There are (various) means of deterrence, such as banishing families of murderers to the Judean Desert – something that’s possible by law – and the creation of a type of Holot (internment camp) run by the military police,” he blustered. It would be understood by every son that he doesn’t want this to happen to his father, mother, sisters and brothers. I have no doubt that this could be a very big deterrent. He vowed Israel will “deal with the terror (sic) with an iron fist.” He’s a vocal advocate of unlimited settlement construction. Following Israel’s High Court ruling upholding the demolition of two illegally built settler West Bank buildings, he railed against the decision, saying “(w)e have to take the (oversized) blade of a (Caterpillar) D9 (bulldozer used for illegal Palestinian home demolitions) to the High Court of Justice” building. We as a legislative system (must) rein in judicial rule (to show) the Knesset and government…rule(s) in Israel (and) the judiciary will know its place. She encouraged settlers to “eliminate the enemy.” Deputy defense minister, settler rabbi Eli Ben-Dahan called Palestinians “beasts. They are not human,” he railed. 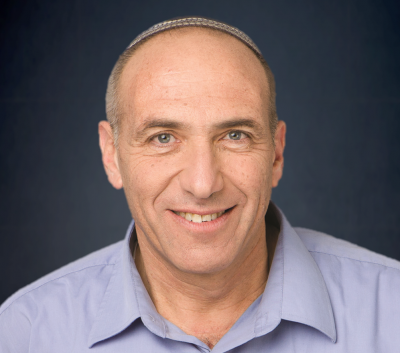 MK Yinon Magal says it’s “important to make an effort so that terrorists (sic) who carry out (alleged) attacks are not left alive.” Netanyahu openly urges “a fight to the death against Palestinian terror” – defined as anyone openly resisting Israeli ruthlessness. Israel’s Muslim hating culture of violence is capable of most anything. Defense Minister Ya’alon wants Gaza turned into an island, isolated, besieged and surrounded on all sides by water. His scheme involves digging a deep trench along the Israeli/Gaza border, filling it with seawater, preventing nonexistent infiltration into Israel. Around 150 heavy duty bulldozers are involved in the project, Israel’s “groove to be connected to the Egyptian” one when completed, encircling Gaza on all sides by water, destroying choice Palestinian farmland in the process.